This kit contains everything you need to upgrade your dual membrane RO/DI system to 100GPD (gallon per day) RO membranes. Included are two high-quality thin film composite (TFC) membranes, as well as the matched flow restrictor, to ensure proper membrane performance and contaminant rejection. Installation is as simple as replacing your existing flow restrictor with the included one and swapping out the membranes. This kit contains everything you need to upgrade your RO/DI system to a 100GPD (gallon per day) RO membrane. Included is a high-quality thin film composite (TFC) membrane, as well as the matched flow restrictor, to ensure proper membrane performance and contaminant rejection. 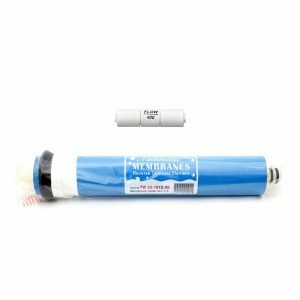 Installation is as simple as replacing your existing flow restrictor with the included one and swapping out the membrane. 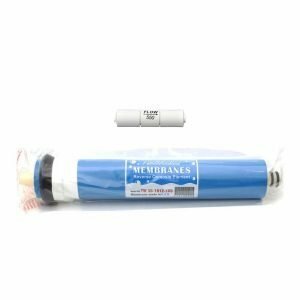 This kit contains everything you need to upgrade your dual membrane RO/DI system to 200GPD (gallon per day) RO membranes. This kit contains everything you need to upgrade your RO/DI system to a 200GPD (gallon per day) RO membrane. 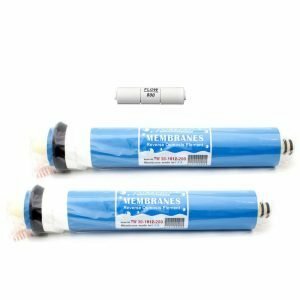 This kit contains everything you need to upgrade your dual membrane RO/DI system to 80GPD (gallon per day) RO membranes. This kit contains everything you need to upgrade your RO/DI system to a 80GPD (gallon per day) RO membrane.